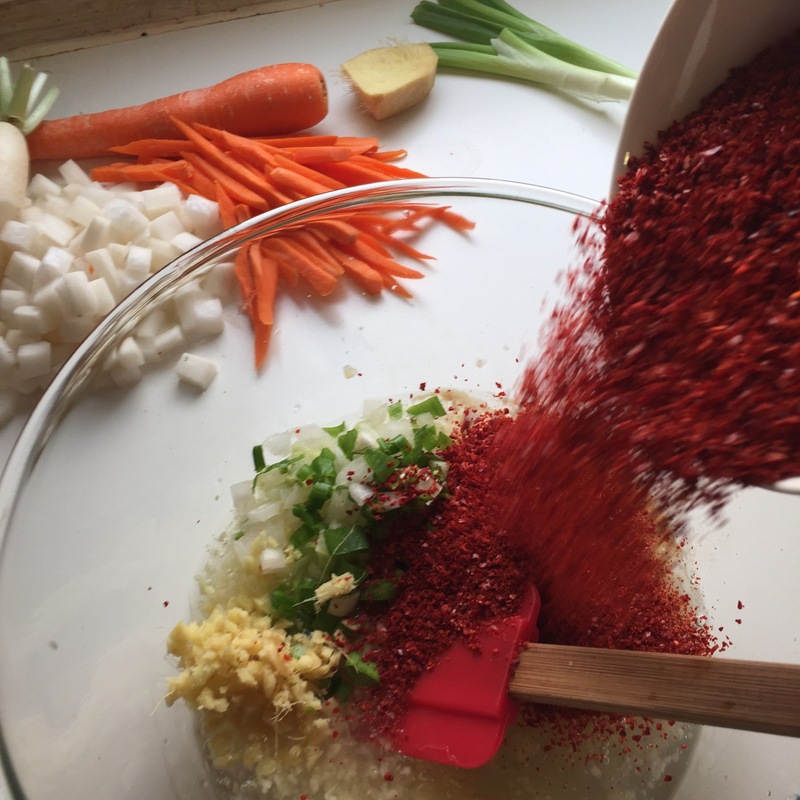 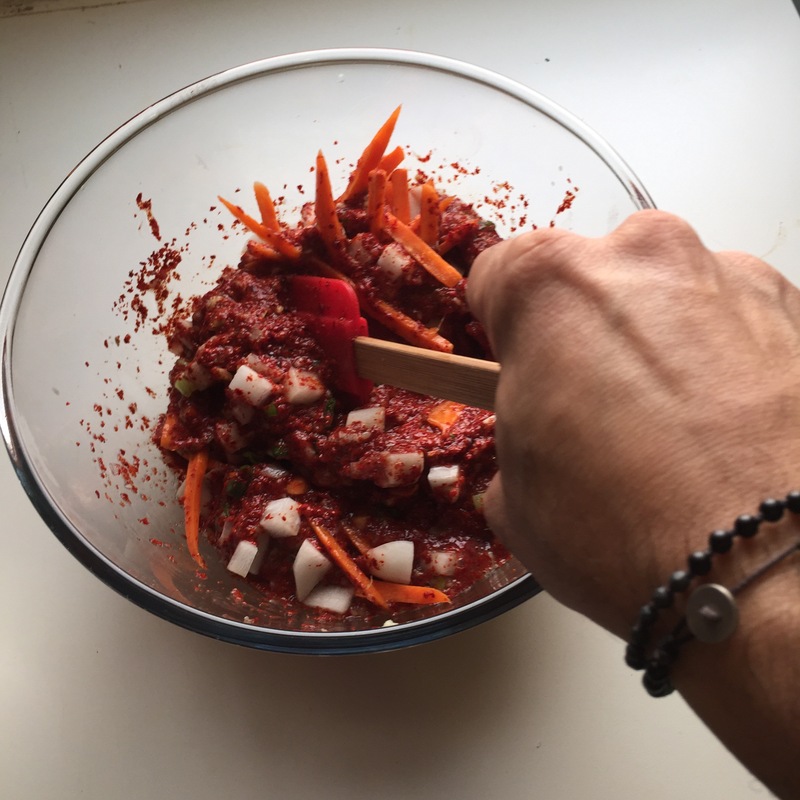 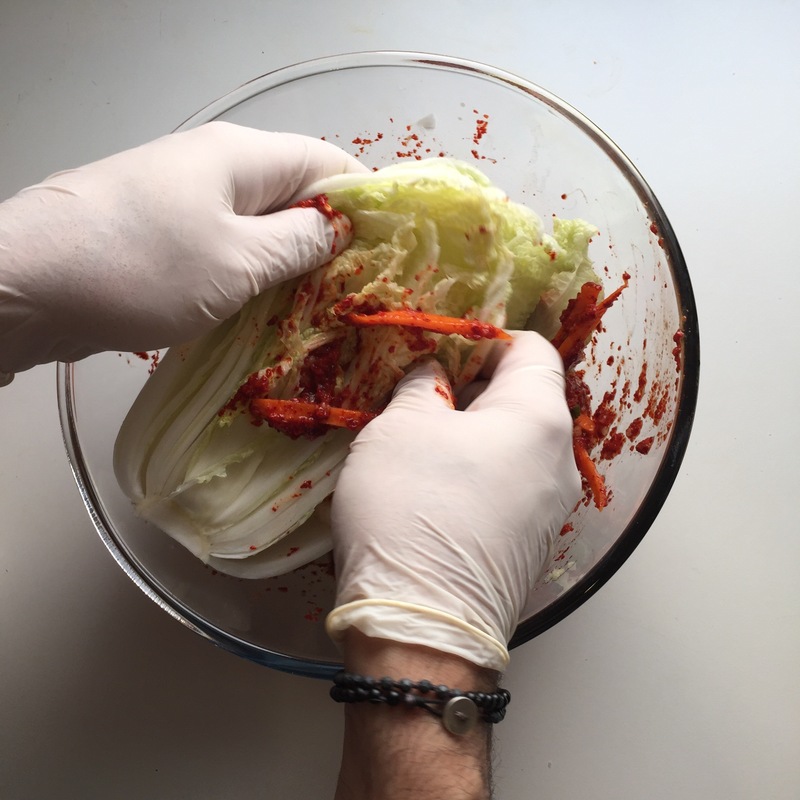 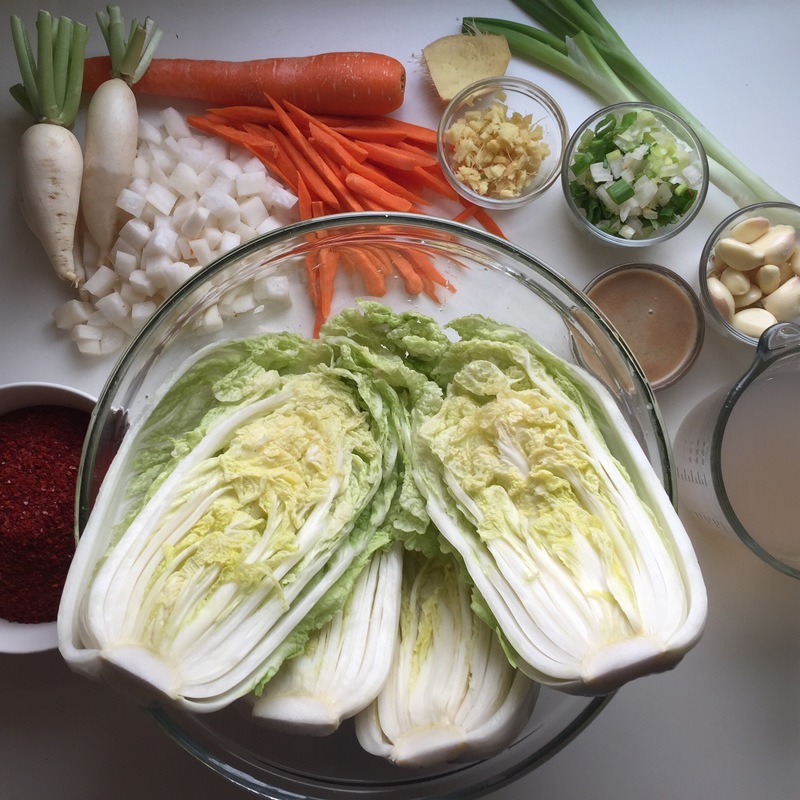 Here is my contribution to preparing Kimchi in Kuwait, hope you find it helpful. 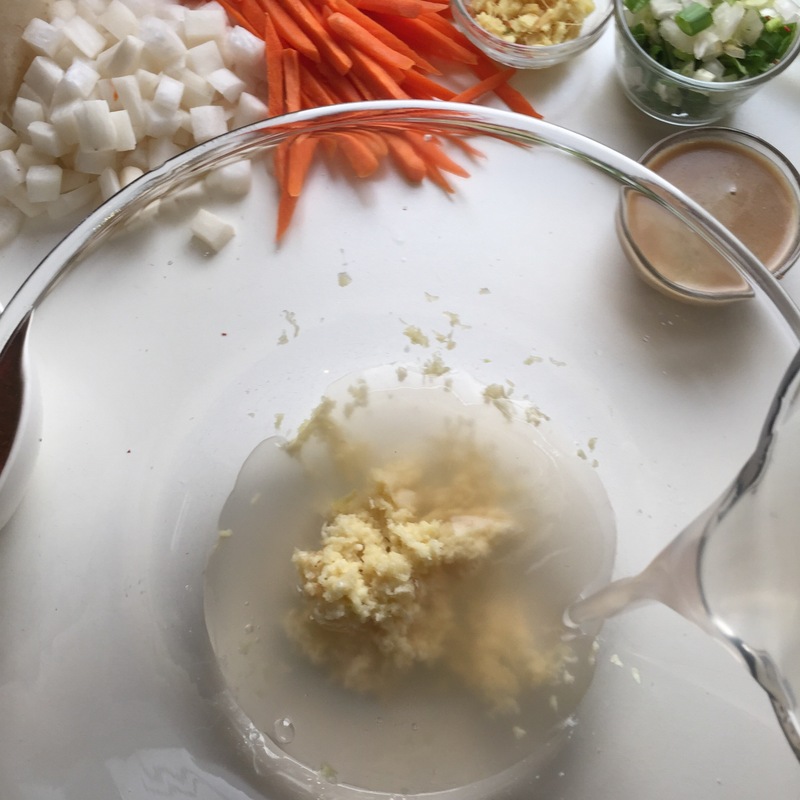 If you’re doing the regular version then use a trusted source for fish sauce, avoid brands with unrecognized additives. 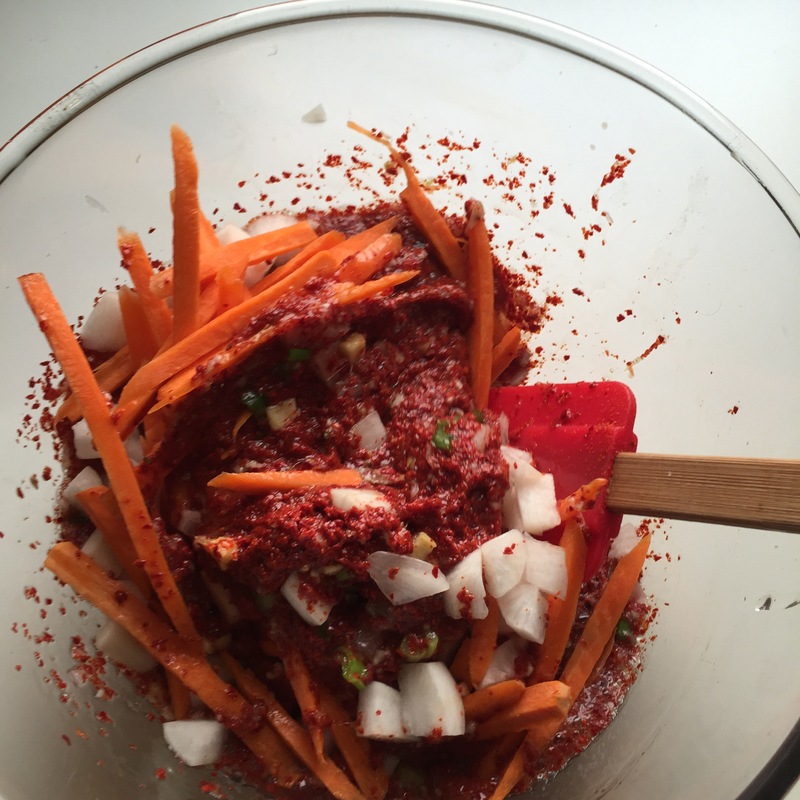 Or use 5 jarred anchovies and ground to pieces with 1/4 cup water. 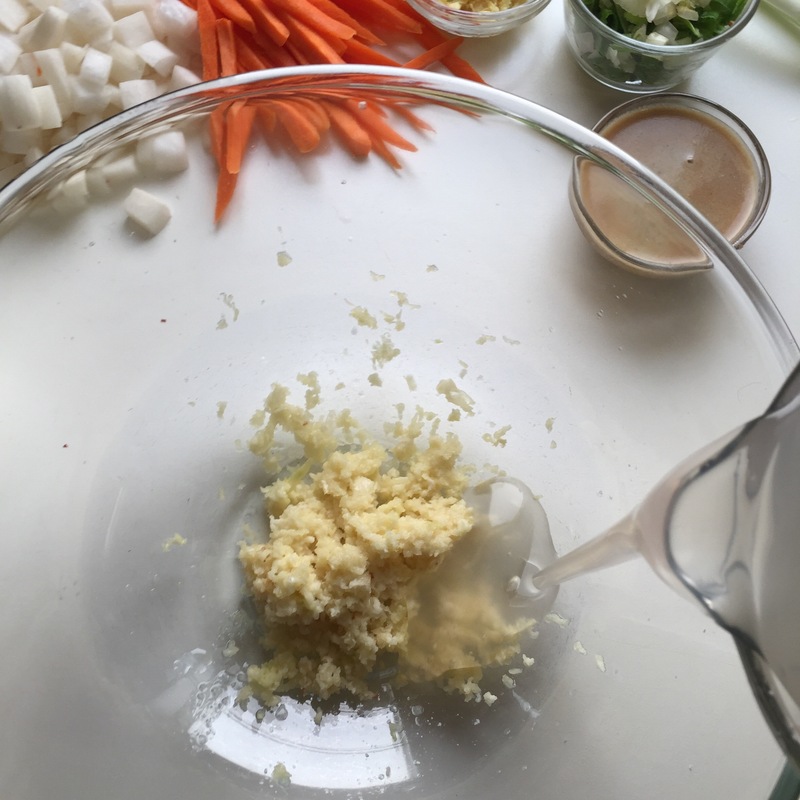 In the meantime prepare the water and arrowroot flour mixture on the stove. 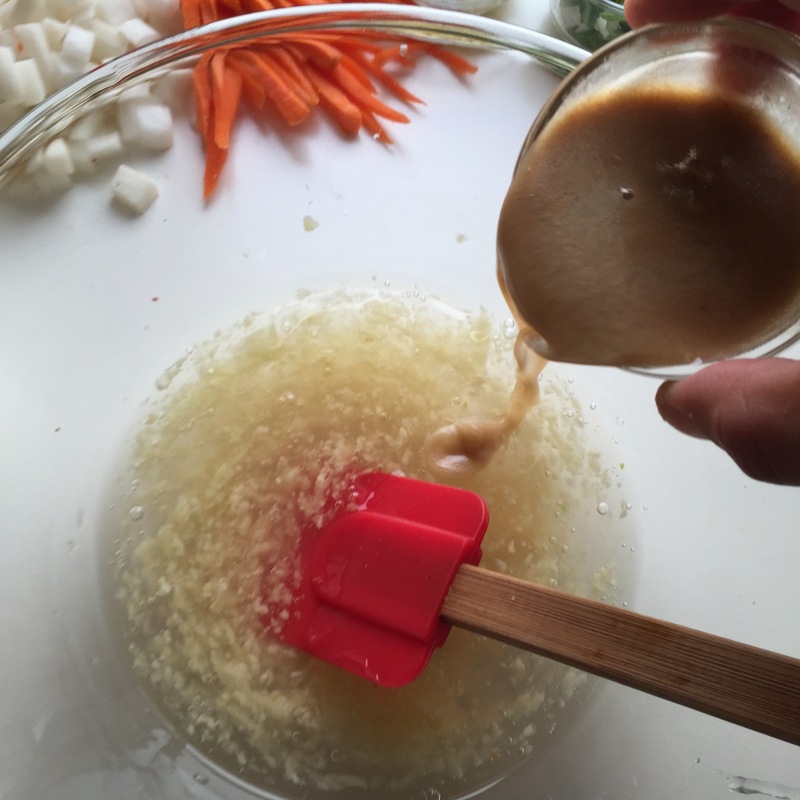 Bring to boil while stirring until you get a thick mixture, add the sugar then mix until dissolved, and let it get cold. 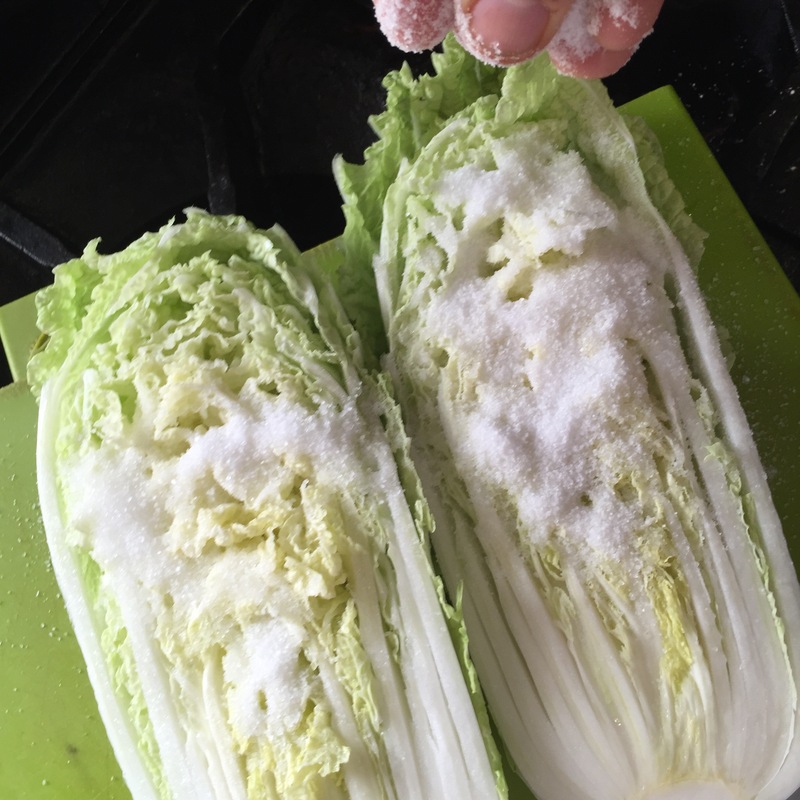 After the two hours have passed wash the cabbages under cold water thoroughly with disconnecting the leafs. 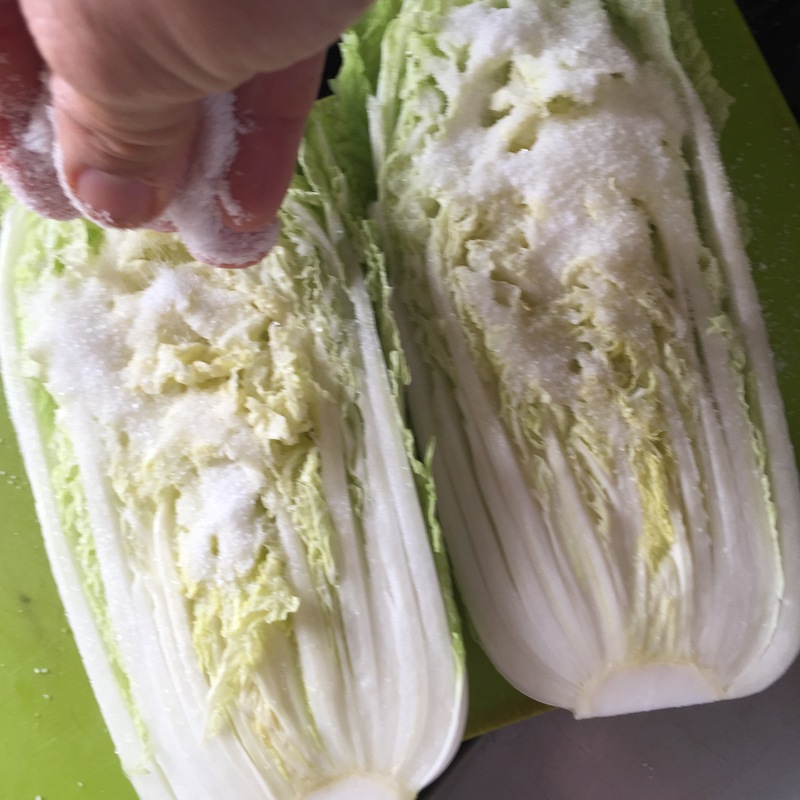 Turn the cabbage root side up and leave to dry as much as possible. 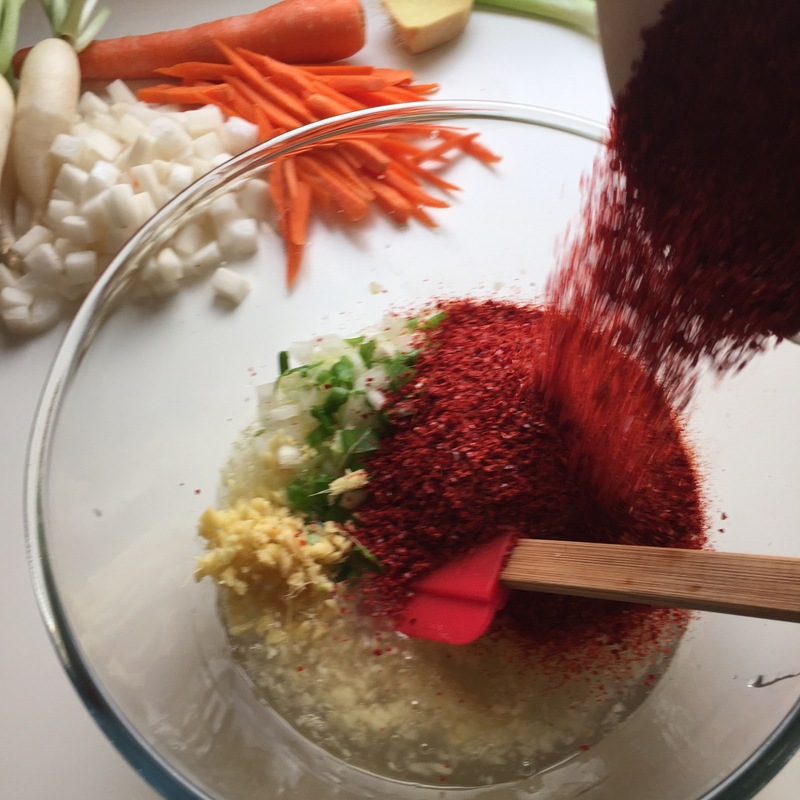 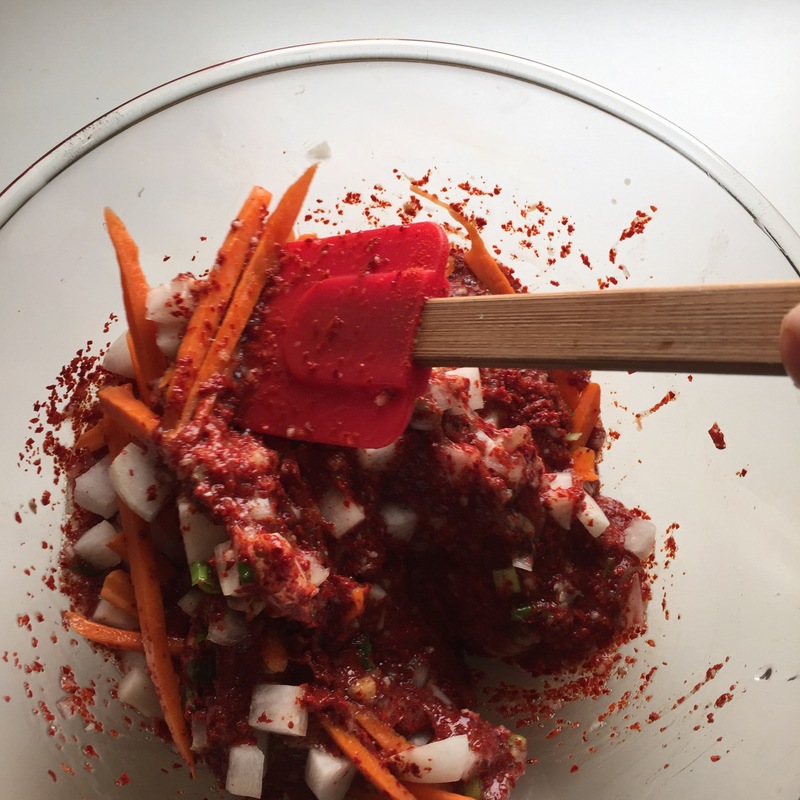 Add the water mix to ginger, onion, carrots, radish, and the rest of the ingredients. 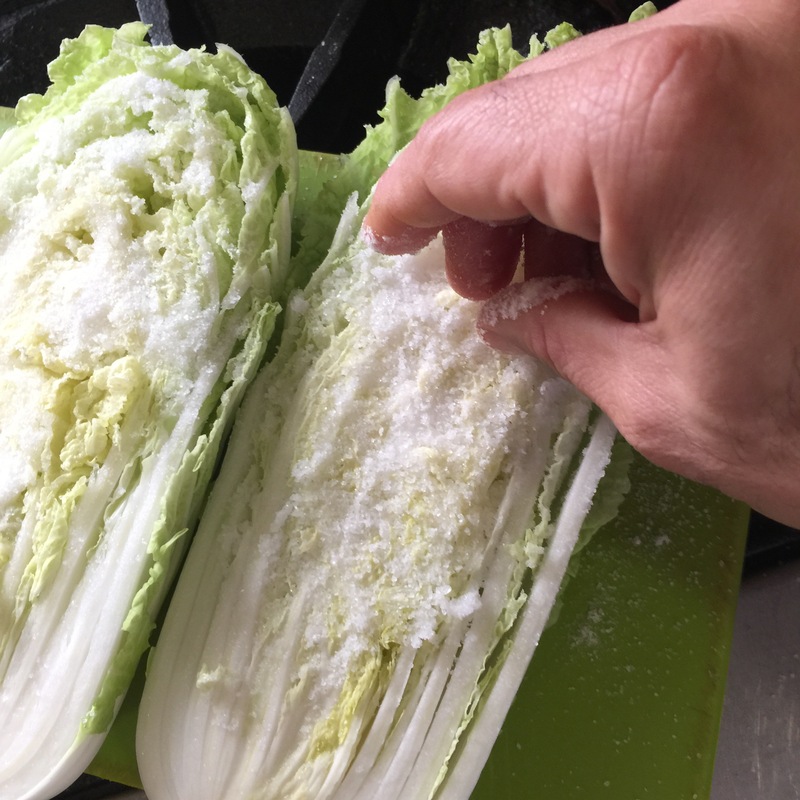 Start rubbing the paste to the cabbage well and stuffing it with the vegetables. 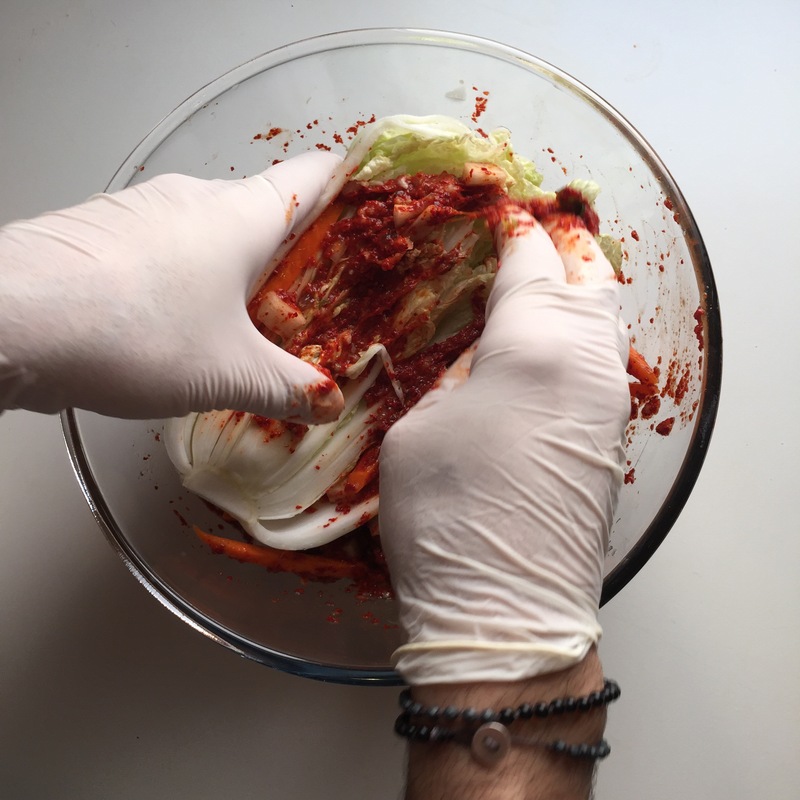 Once done, tuck them tight in jar and tightly screw the lid. 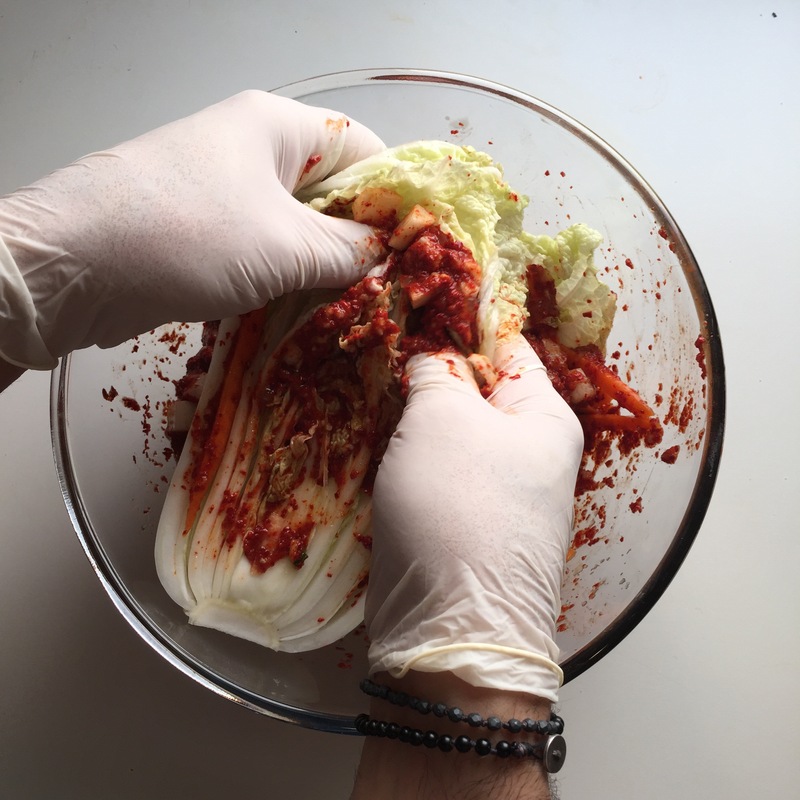 Note that it is not important to fill it all the way to the top with the kimchi paste as you need some room at the top for extracted juices. 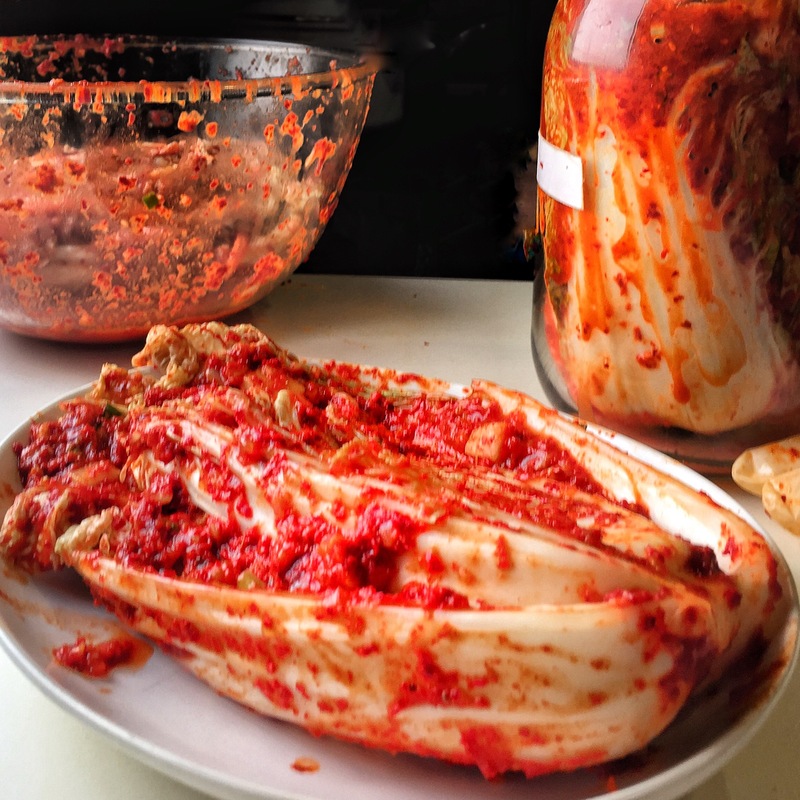 If you’re stuck with one that you can’t add to the jar, you can put it in a separate one for few days until it ferments and shrinks in size and then you can ad it to the rest. 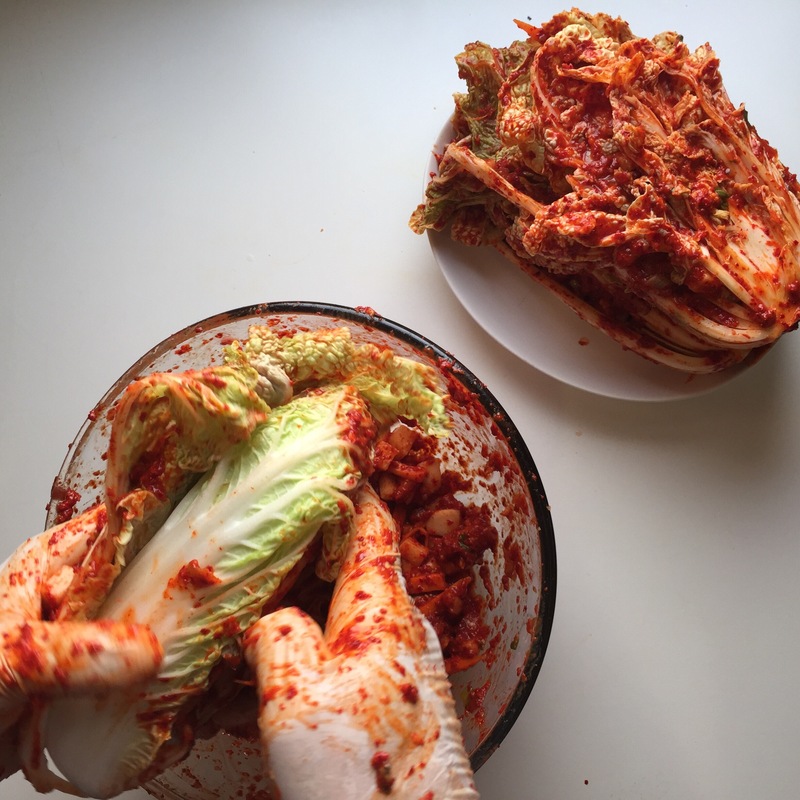 Kimchi should not be opened before two to three days, and preferably after at least a week. 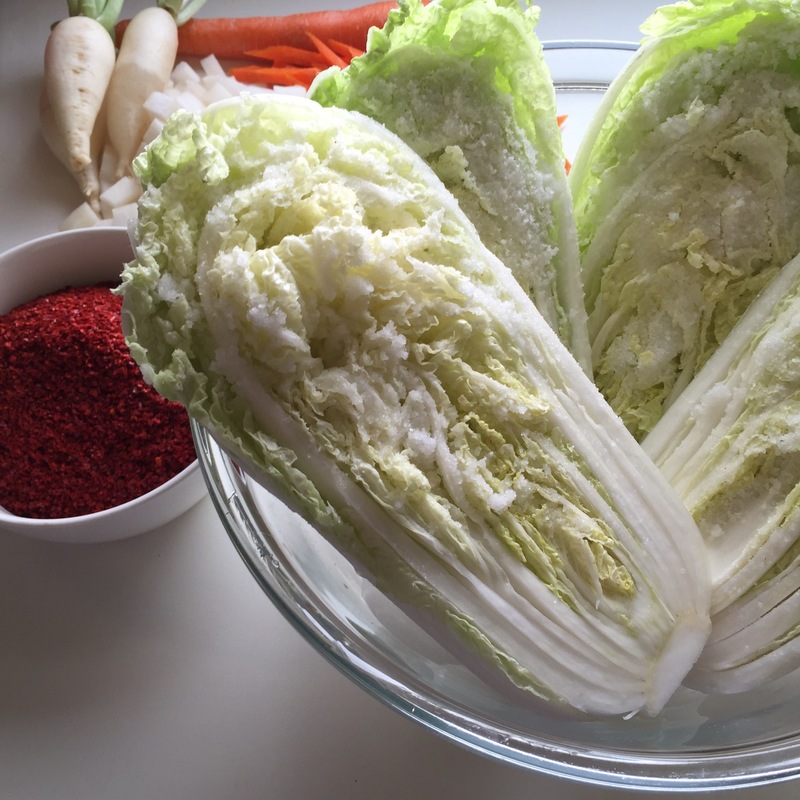 When you reach desired flavour you can then put it in the fridge to stop fermentation process.